The mould has been broken in Spain. Yesterday, in Spain’s general election, yesterday, the two Parties that have dominated Spain’s post fascist democracy both lost seats and votes. The new parliament has no natural majority. The PSOE, in particular, has some interesting challenges in front of it and the next few weeks and months may act as a signpost for the politics of Europe. The two new parties are Podemos, and the Citizen’s party. 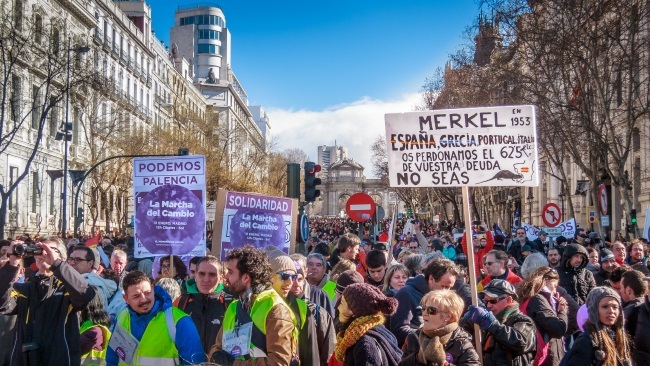 Podemos are a new anti-austerity party, born from the Occuy movement and its Spinish incarnation i”los ndignados” and the Citizen’s party, an economic liberal, anti-corruption party. Spain being Spain, there are a number of regional nationalist parties some on the Left and some on the Right. Like Germany in 2013, and unlike the UK in 2010 the balance of left and right in the Spanish Cortes is finely balanced although the disappointed Citizen’s Party will have difficulty propping up the People’s Party. It looks like they’re out! 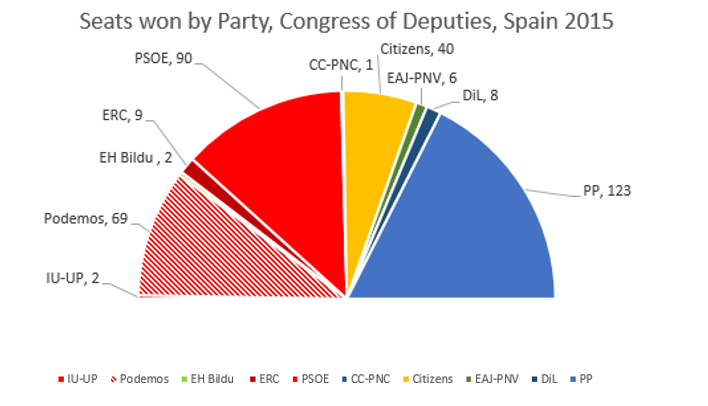 The choice for the PSOE is to follow the example of the SPD (& previously PASOK) or to turn left and reconnect with their base. The politics of Spain are complicated by the irredentist parties and their undoubted support but it would seem to me that another place has said “Enough”. Is this a lesson or a signpost for the UK, another social democratic party is offered the choice of route between left and right, we’ve seen what happened in Greece where the once mighty PASOK is now irrelevant, with the Germans taking an alternate route. While it is felt that the voting system may give Labour a different set of choices, this won’t be the last time social democrats in Europe face this question of left or right and relevance.